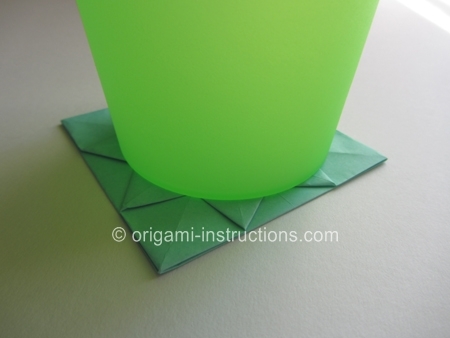 The origami flower coaster is a simple and practical origami. 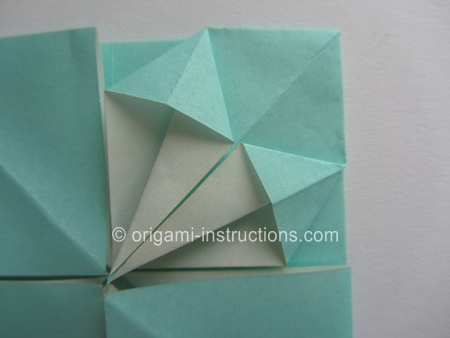 It is nice to look at too! 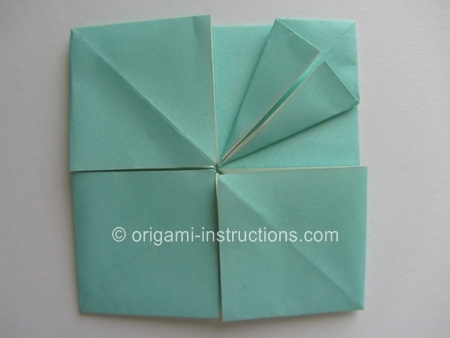 Origami Flower Coaster Step 1: Fold an origami pattern base. 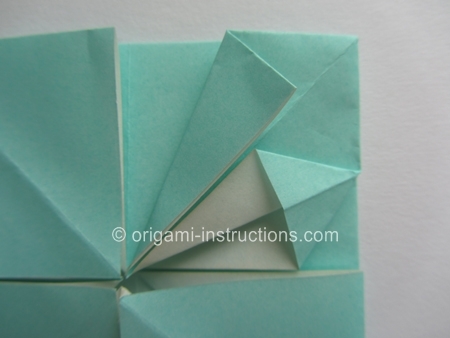 This is a commonly used base in origami and we've created a separate page of instructions for it. 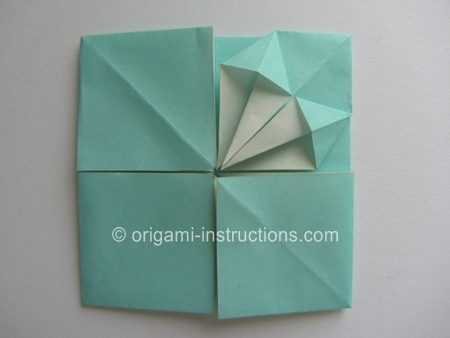 Origami Flower Coaster Step 2: Starting with the top right square, fold both sides to the center. 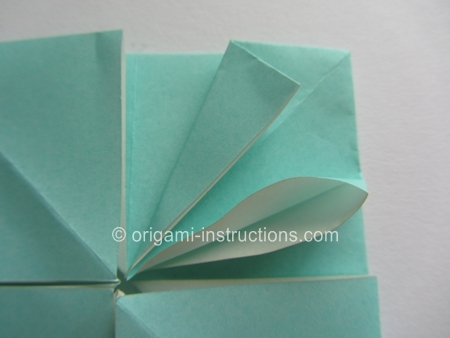 Origami Flower Coaster Step 3: Pry paper open and make a squash fold. 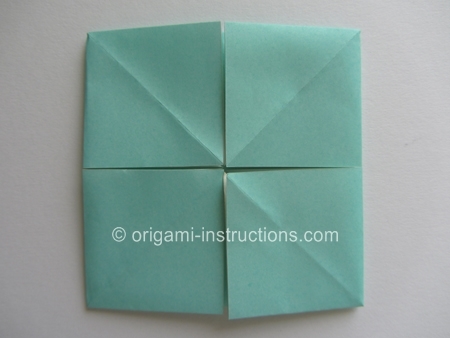 Origami Flower Coaster Step 4: Repeat Steps 2 and 3 on the other 3 squares. 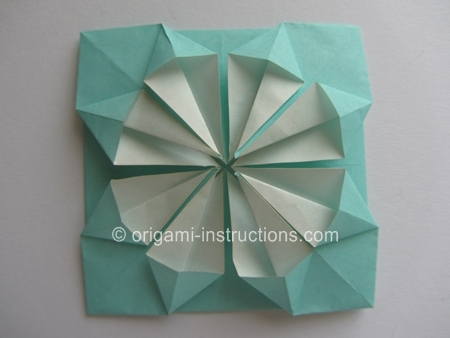 And your origami flower coaster is complete! 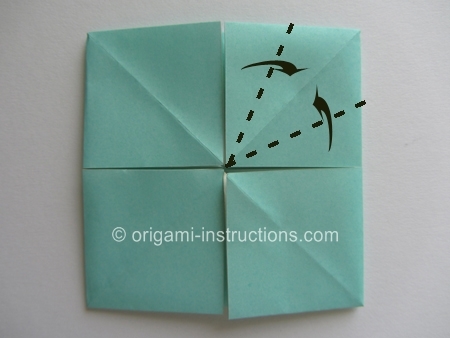 We can now put it to use!